Sandyfields was asked to demolish an existing building and clear the site to ground level in preparation for a basement dig. The basement dig measured 30m long x 15m wide x 7m deep and involved the extraction of approximately 4,000m3 of waste material. During the dig, we encountered a 600mm seam of sandstone which had to be broken down and removed from the site. All waste material was recycled and used to build up a low lying area of a nearby field which was suffering drainage problems. Once filled, the site was levelled, reinstated with top soil and landscaped. An experienced team took one month to complete the job using a 13 ton excavator, a Caterpillar D5 LGP bulldozer with wide and long tracks for the soft ground, and four dump trucks. Welcome to Sandyfields. 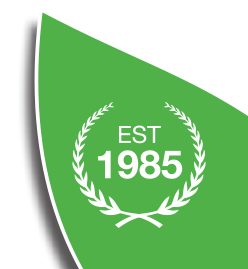 Established in 1985, we have more than 30 years’ experience in providing a wide range of specialist tree surgeon, landscaping and groundwork services for domestic and commercial customers.